New car sales increased in January 2017 with registrations of hybrid and electric cars significantly up. A total of 174,564 new cars were registered in the UK in January 2017, the biggest rise year-on-year for 12 years. Much of that was down to alternatively-fuelled vehicles - so electric and hybrid cars - which hit their peak with an increase of 20 per cent. 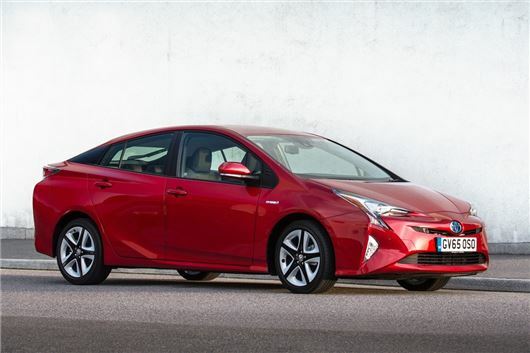 That should be no surprise given that there have been plenty of new hybrids launched of late. Cars such as the Kia Niro, Hyundai Ioniq and the latest Toyota Prius will all now be coming through to dealers, as are hybrid and plug-in hybrid versions of the Mercedes-Benz C-Class. Attractive PCP deals will also have helped. Meanwhile, petrol car registration increased by almost 9 per cent but diesels saw a 4.3 per cent decline. The bad press that diesel vehicles are getting of late has put diesels on the backfoot. More buyers are also looking toward petrol cars, not only because of lower list prices, but for many drivers who cover moderate distances, they won't see the financial benefit of buying a diesel. However, despite the upcoming changes to VED - which will see 7 out of 10 new car buyers paying more tax - coming into effect for cars registered from April 1 2017, the SMMT is actually predicting that sales will slow in the coming months. Something which many industry experts disagree with. Mike Hawes, SMMT Chief Executive, said, "After record growth in 2016, some cooling is anticipated over the coming months, but provided interest rates remain low and the economy stable, the market is in a good position to withstand its short-term challenges." In fact, the SMMT expects a 5 per cent decline in new car sales over the coming months and are predicting that Brexit and the weaker pound could drive up the cost of imported models. While it may be a new year, one thing hasn't changed and that's the popularity of the Ford Fiesta. It was yet again the most popular seller, followed by the Volkswagen Golf. Despite the popularity of petrol engines increasing, it seems that some manufacturers still aren't offering their popular petrol versions in an Automatic. For example, Skoda don't offer the 1.4TSI DSG option on the Yeti, and the Peugeot 2008 SUV doesn't have the more powerful 1.2 130 EAT 6 option either, its only available on the bigger 3008 which is over budget. So for me, personally, it only really left the diesel options for these two models as a shortlist.